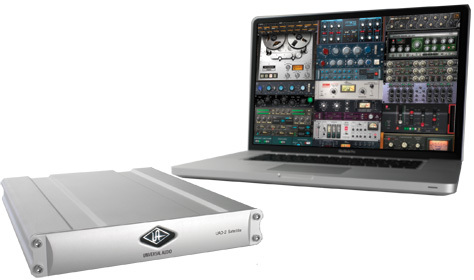 "UAD-2 Satellite QUAD Omni Firewire DSP Accelerator"
A Massive Collection of UAD Powered Plug-ins with Quad Processing Power — Now on Intel-Based iMacs®, MacBook Pros® and Mac minis. 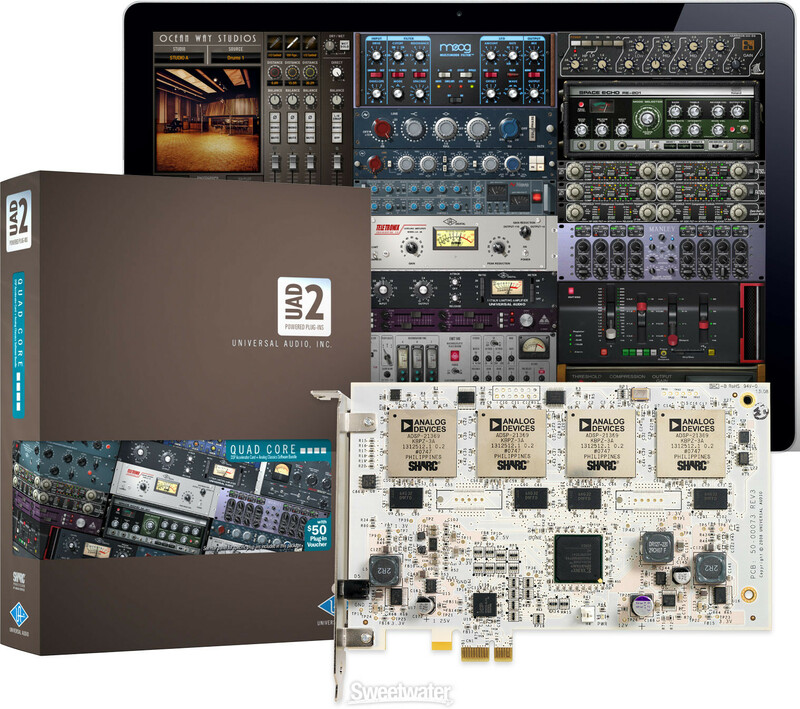 The top-of-the-line UAD-2 Satellite QUAD Omni (v.5.7) provides a collection of 50 of the world’s finest analog emulation plug-ins, now within easy reach of Firewire 800 and 400-equipped Macs — including Intel-based iMacs, MacBook Pros and Mac minis. In developing these UAD-2 plug-ins, UA’s DSP engineers work with leading hardware manufacturers, using their exact schematics, golden units, and experienced ears, to give your mixes all the warmth and harmonics of classic analog recordings. Powered by four SHARC processors, the flagship UAD-2 Satellite QUAD Omni gives you a giant collection of stellar UAD plug-ins, plus the power to run large, complex mixes — all without taxing your host computer. 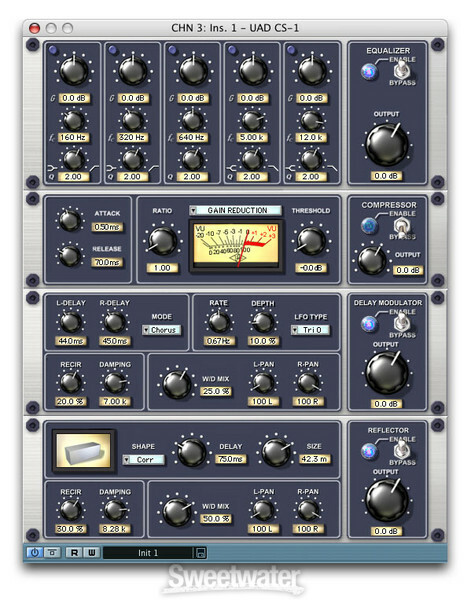 The UAD-2 QUAD Omni (v.5.7) is the most powerful and complete UAD-2 Satellite package available, and includes 50 popular UAD Powered Plug-Ins from Manley, SSL, Empirical Labs, Neve, Roland, BOSS, EMT, dbx, Fairchild, Harrison, Helios, Little Labs, Pultec, SPL and many more, up to and including UAD software version 5.7. 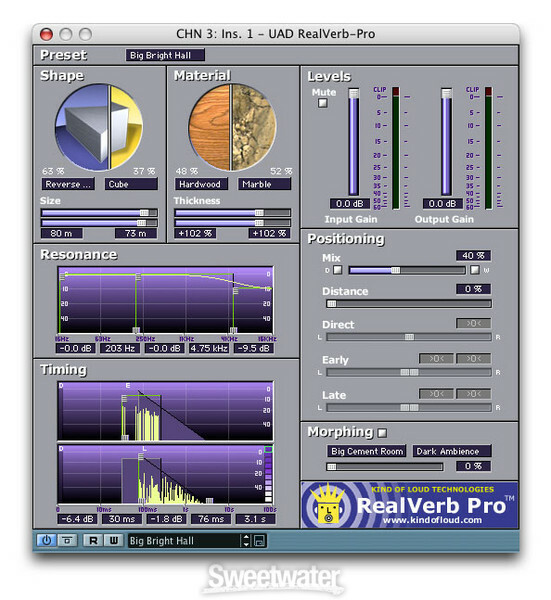 Compatible with select iMac and MacBook Pros, with support for VST, Audio Units and RTAS, the UAD-2 Satellite QUAD Omni features wide compatibility. Whether you use Pro Tools, Cubase, Nuendo, Logic Pro, Digital Performer and more, UAD-2 plug-ins can inject the character and quality of classic hardware into your mixes. Just install the software, connect the unit to an available Firewire 800 or 400 port, power up and start mixing. "UAD-2 Satellite QUAD Omni Bundle Includes"